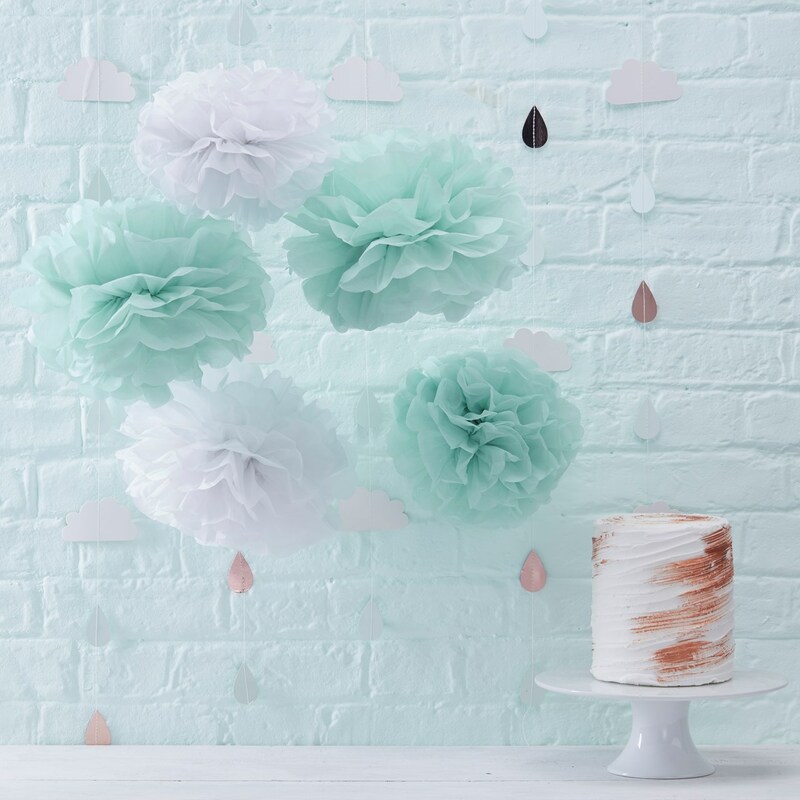 Create the perfect Baby Shower set-up with these lovely mint green and white Pom Pom""s. Use the gorgeous tissue paper pom pom""s to create a classy celebration for you and your loved ones. The gorgeous gender neutral, pom pom""s are perfect for all Baby Showers whether your expecting a gorgeous girl or beautiful boy! Hang the elegant pom pom""s alongside the rose gold Hello World backdrops to create a chic celebration. Each pack contains 2x large mint green pom pom""s, 1x large white pom pom, 1x small mint green pom pom and 1x small white pom . Large measure: 325mm, Small measure: 255mm.